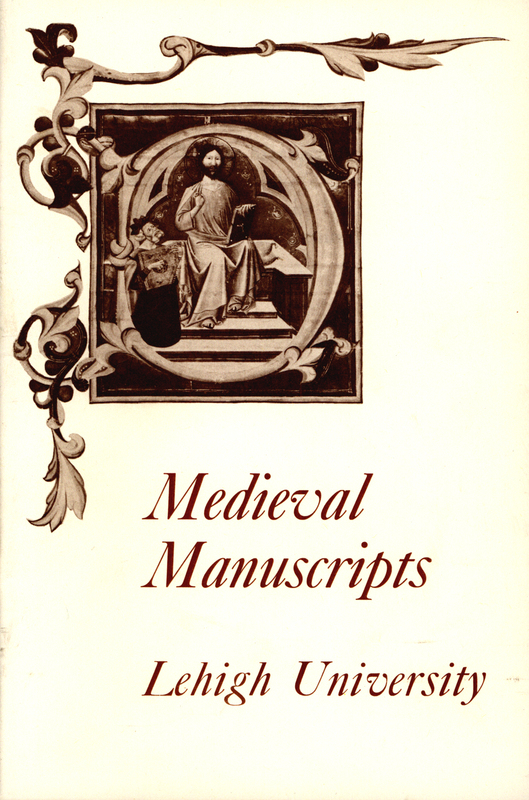 In 1970, John C. Hirsh researched and assembled an exhibit that showcased the diversity of the Lehigh University Library’s holdings in medieval literature and manuscripts. The original exhibit catalogue “Western Manuscripts of the Twelfth through the Sixteenth Centuries in Lehigh University Libraries: A Guide to the Exhibition” is also the basis upon which this year’s exhibit has been assembled. While extensive edits have been made to the original catalog, the scholarship is that of Hirsch. Hirsh, currently Professor of English at Georgetown University, is an expert in Chaucer and Middle English literature and medieval spirituality. As he noted, sixteen of Lehigh's manuscripts were included in volume II of Seymour de Ricci and W. J. Wilson's Census of Medieval and Renaissance Manuscripts in the United States and Canada (1937). He recorded catalogue entries assigned in the Census, observing that provenance information of the manuscripts is readily available in the Census itself. John C. Hirsh, Western Manuscripts of the Twelfth through the Sixteenth Centuries in Lehigh University Libraries: A Guide to the Exhibition, 1970.